Whether you're relocating fine art or a priceless family heirloom, we offer the resources and skills you need. If only moving to a new place could be as simple as packing up a few boxes and hitting the road! Unfortunately, that’s usually not the case—especially if your move involves fragile or high-value items. At Upline Moving, we offer reliable specialized moving services for all of your difficult or delicate relocation needs. Our art moving services are perfect for fine art, family portraits, or even the painting your child made at camp that holds a special place in your heart. We can also move antiques, furniture, and various works of art with the greatest care and respect. When it comes to Bay Area, art movers are a dime a dozen, but few can match the expertise and dedication to honesty and customer satisfaction provided by Upline Moving! Guaranteed Pricing: With your help, we will take a detailed inventory of the items to be moved and provide you with up-front pricing; no surprise fees, ever! Professional Packing: Our packing experts use the ideal materials and methods for packing your items, so they are sure to be well protected throughout the entire journey. Custom Crating: Some items require custom crating to ensure adequate protection in transit, and we can supply the right crating solution for every need. Air-Ride Delivery: Your valuables are carefully loaded onto a clean and secure moving van for efficient and safe delivery. Unloading: Upon arrival, we will unload your belongings for you, and we can also offer unpacking and set-up services at your request. Storage: If you’re not ready to receive your items at your new home right away, take advantage of our secure storage options—and get the first 30 days for free! Contact Our Bay Area Art Movers Today and Get a Free Quote! Don’t place your high-value or sentimental items in the hands of just any relocation company. 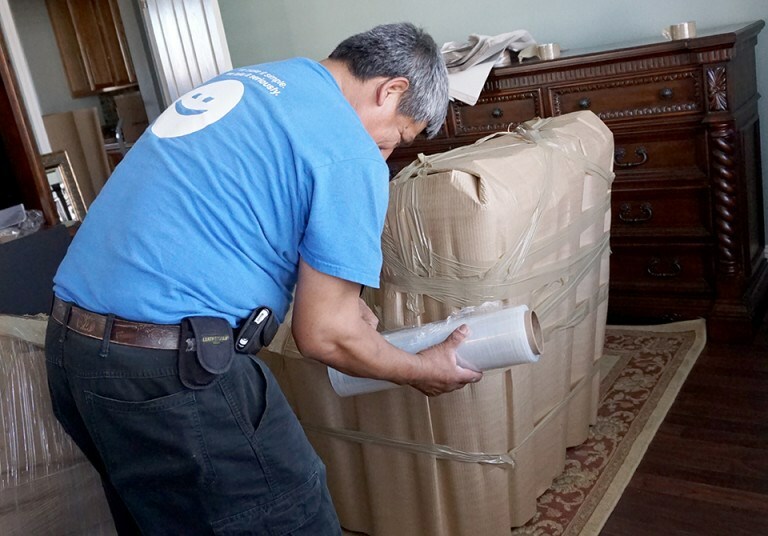 When you choose our Bay Area residential movers, you’ll be working with a team of qualified and courteous professionals who have the resources and skills to protect your valuables and preserve your peace of mind! Give us a call or use our online form today to get started with a flat-rate quote.